FOR MANY, Hamlet is Shakespeare's greatest play, and contains possibly his most famous speech in "To be or not to be...", and Galway will have the chance to see it performed by The Royal Shakespeare Company. 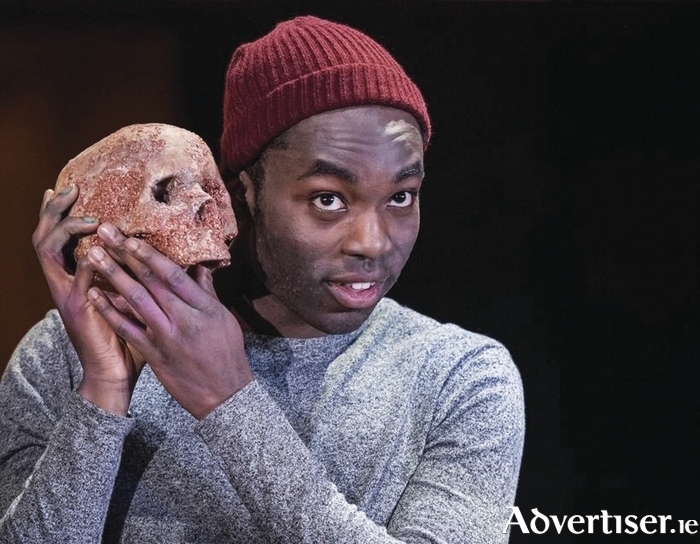 The Eye Cinema, Wellpark, screens the RSC's production of Hamlet, directed by Simon Godwin and starring Paapa Essiedu as Hamlet, live via satellite, on Wednesday June 8 at 7pm. Word reaches Hamlet that his father has died. Returning home he finds his world is utterly changed and his certainties smashed. Struggling to understand his place in a new world order he faces a stark choice. Submit or rage against the injustice of his new reality. Early booking and arrival is advised for this performance. To book see www.eyecinema.ie or call 091 - 780078.